Amongst the many strings in our bow, Strathclyde Windscreens also offer extremely high quality van conversions. But what makes a quality van conversion and what should you be looking for when thinking about converting a van? The first stage for us is talking with you about why you are looking for a conversion. Once we know what your goals are, we can start helping you plan the conversion of your vehicle. Rest assured that Strathclyde Windscreens have undertaken countless conversions over the years, and relish the opportunity to breath new life into your van! All our fitters are NVQ trained, which means that our work is always up to current legislation and healthy and safety guidelines. So whether you’ve got a good old Ford Transit, a Vauxhall Vivaro or a Mercedes Sprinter, tinted glass or any other requirement, we have the experience to adapt to your requirements. With a range of materials in stock, we can also offer exceptionally fast turn arounds. Customers often don’t believe us when we tell them we can get their conversion done in a single day, but we often manage it! 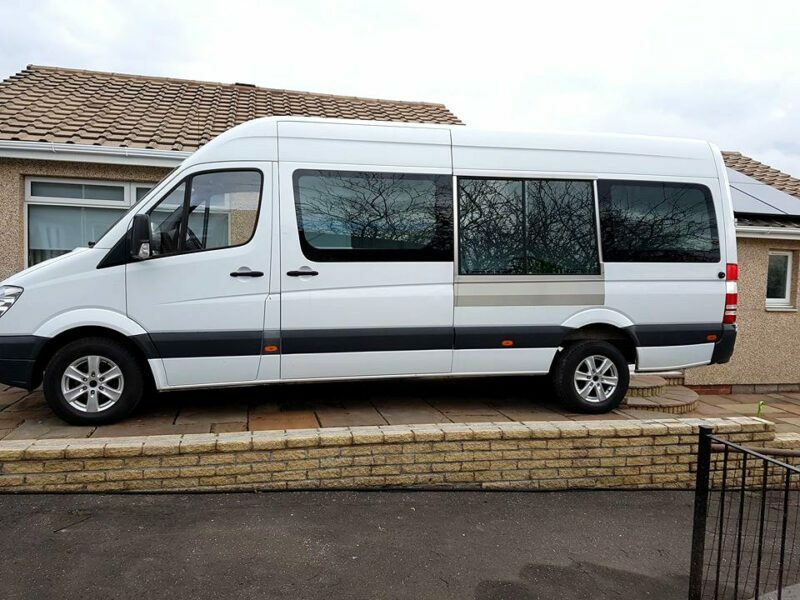 When you book your van conversion with Strathclyde Windscreens we will always give you an honest timeline based on your particular project and our other commitments. Some of our clients, who use their vans for business (particularly tradies) need the least downtime possible so we always endeavour to accommodate those time restraints. And because we have so much experience in autoglass, whether that be van conversions or windscreen repairs, we have become very efficient in the trade and our customers are often delighted to discover that we can offer some of the most competitive prices around.